Make a difference to students, our community, and the world at one of Canada’s most community-engaged research universities. Since the creation of Canada's first Executive MBA in 1968, the Beedie School of Business has championed lifelong learning, productive change, and innovation. Our mission is to develop innovative and socially responsible business leaders with a global perspective, supported by education that’s inspired by research and grounded in practice. We are looking for people who share our passion and commitment to delivering experiential and transformative learning opportunities, and making Beedie an outstanding business school. We post opportunities as they become available. Please check back often, and learn more about working at SFU. The Beedie School of Business invites outstanding individuals to apply for a range of permanent teaching and tenure-track appointments. As a faculty member with Beedie, you’ll join a group of thought leaders in areas that will define business in the 21st century. Respected around the world, our faculty use their research skills to advance our understanding of these complex issues, and as accomplished teachers, they bring the latest ideas into their classrooms. They deliver value through the practical application of their knowledge and learning. Simon Fraser University (SFU) is the place where innovative education, cutting-edge research and community outreach intersect. Their vision is to be Canada's leading engaged university. Born in 1965, SFU has become Canada's leading comprehensive university boasting three distinctive campuses in British Columbia’s largest municipalities – Vancouver, Burnaby and Surrey. SFU is home to 30,000 students, 6,500 faculty and staff, 130,000 alumni, offers 95 undergraduate programs and has matured into one of the world’s leading teaching and research universities. More recently, the campus was awarded as a Changemaker Campus, a leading designation for social innovation in higher education by Ashoka U. Since the creation of Canada’s first Executive MBA in 1968, Simon Fraser University’s Beedie School of Business has emerged as a dynamic teaching and learning setting, and with a reputation for producing global-class research for the knowledge economy. Their success is confirmed through accreditation by the Association to Advance Collegiate Schools of Business (AACSB) and by receiving the EQUIS Quality award from the European Federation for Management Development (EFMD). Less than one percent of business schools worldwide have earned both international accreditations. Undergraduate, graduate and PhD programs demonstrate flexibility and relevance. Supported by extensive partnerships with public, private and not-for-profit organizations, their goal is to produce broadly educated, enterprising and socially responsible managers capable of making lasting contributions to society. In recognition of a record $22 million gift from alumnus Ryan Beedie and his father Keith, the school was renamed from the Faculty of Business Administration to the Beedie School of Business in 2011. In 2016, SFU Beedie alumnus Charles Chang, founder of plant-based nutrition company Vega, donated $10 million to establish a new entrepreneurship institute at the school, the Charles Chang Institute for Entrepreneurship. The institute’s activities support entrepreneurship education, including the launch of the Charles Chang Innovation Centre, which offers residences for graduate students and state-of-the art business incubation facilities, located in downtown Vancouver. It also houses RADIUS (Radical Ideas, Useful to Society), the Beedie School of Business’ social innovation lab and venture incubator, and the Invention to Innovation program, SFU Beedie’s graduate certificate in science and technology commercialization. The gift also funded the launch of the flagship Charles Chang Certificate in Innovation and Entrepreneurship program, supported by the Charles Chang Institute for Entrepreneurship. This interdisciplinary program allows undergraduate students from any faculty to add innovation and entrepreneurship training to their education. Their mission is to develop innovative and socially responsible business leaders with a global perspective through education, inspired by research and grounded in practice. The Beedie School of Business is consistently ranked among the Top 100 business schools globally for research output. Research reflects their commitment to collaborative partnerships with the academic and business communities. The endowed Chair will hold an ongoing tenure-track appointment at the Full Professor level. The Keith Beedie Chair will provide academic leadership that delivers high-quality research and teaching and attracts and nurtures excellent researchers and graduate students. The selected candidate will actively engage in a range of activities at the SFU Charles Chang Innovation Centre (CCIC), a state-of-the-art facility in downtown Vancouver that provides a dedicated idea-generation space to foster innovation and entrepreneurial startups. The Keith Beedie Chair is also expected to significantly advance SFU Beedie’s research initiatives consistent with Beedie’s Vision 2022 strategic priorities of innovation, social responsibility, and a global perspective as well as to initiate and cultivate new research collaboration platforms with forward-thinking universities from abroad. In addition to being an academic role model, the successful candidate will have the ability and desire to mentor junior faculty in setting the school’s research agenda and to act as a thought leader for developing world-class research that is both rigorous and relevant to business. The ideal candidate is passionate about building a centre of excellence and leading a movement to advance entrepreneurship. Engaging the Beedie community, fostering culture of collaboration that inspires innovative contributions. A PhD in Business or Management with a focus on entrepreneurship. The successful candidate will share Beedie’s commitment to diversity, engagement and generating positive change in its communities. Someone who can build relationships easily and builds trust quickly. Be an integral part of a transformational journey. Located in metropolitan Vancouver, a region that prides itself in being the gateway to the Asia Pacific and an emerging knowledge centre, SFU provides a dynamic setting in which to research, study and learn. Vancouver, the largest city in the province of British Columbia is a coastal seaport city in western Canada, located in the Lower Mainland region. Consistently rated as one of the world's most livable cities, Vancouver is also an unparalleled place to live, work and invest. Vancouver is celebrated for its striking natural beauty, ready access to beaches and the outdoors, mild year-round climate and steadfast commitment to public transit and other active transportation modes, including walking and cycling. Yet, that’s just the beginning. Beyond ocean, mountains and the outdoors, Vancouver offers so much more: namely, a business climate that’s innovative, progressive, green and approachable. Increasingly, Vancouver is becoming known across the globe as an exciting place to do business — a place that buzzes. There’s a reason why Vancouver ranked 1st in Canada and 15th in the world on Startup Genome’s list of the world’s best startup ecosystems, and why companies big and small, established and on-the-rise, are choosing to locate here. In 2017, Vancouver’s start-ups received a record investment of $3.2 billion (Vancouver Economic Commission). A complete application including a cover letter, curriculum vitae, a statement of research and teaching interests, and teaching evaluations, should be submitted in electronic format to cmpie@sfu.ca. Please ask six references to send confidential letters of recommendation directly to cmpie@sfu.ca. To help with processing, applications should clearly specify the posting number (2018LECSTRAT) and the position title. For best consideration, complete applications must be received by the initial deadline for applications, November 5, 2018. We anticipate the position will start July 1, 2019 or on a mutually agreed upon date. The candidate will be expected to teach courses in areas such as Introduction to Finance, Investments, Corporate Finance, both at undergraduate and graduate levels. As SFU is a leading research university, the successful candidate will be expected to contribute to Beedie’s research excellence and collaborative academic community through service. With three award-winning British Columbia campuses located in Burnaby, Surrey and downtown Vancouver, Simon Fraser University offers a strong research environment in a dynamic Pacific Rim setting that is ranked by the Economist Intelligence Unit as the world’s most livable city. For further details about the Beedie School of Business, visit our website at http://www.beedie.sfu.ca/. The Beedie School of Business at Simon Fraser University in Metro Vancouver, British Columbia seeks outstanding candidates for one tenure-track position in Sustainability, beginning July 1, 2019 (Rank Assistant Professor). The successful candidate will possess a passion for high-quality research, demonstrated teaching excellence at the undergraduate and graduate levels, and leadership abilities. Candidates working in all areas of business sustainability, business and society, and social and sustainable innovation are encouraged to apply. The successful candidate will help Beedie work towards its Vision 2022 strategic priorities of social responsibility, innovation, and global perspective; thus, research strengths in one or more of these areas will be prioritized. Candidates should have the ability—or, for junior candidates, the ambition—to engage with communities of practice and the ability, or promise, to make an impact through their research. Industry experience is an asset. Applicants should have a PhD degree in management or a related field with high research alignment (although ABD near completion will be considered). The successful candidate will join Beedie’s Centre for Corporate Governance and Sustainability and teach in courses in Beedie’s Corporate Environmental and Social Sustainability Certificate in the undergraduate program such as Management of Sustainability, Sustainable Operations, and Sustainable Innovation as well as sustainability courses in our MBA programs. In addition, the successful candidate will also be expected to contribute to Beedie’s research excellence and to the school’s collaborative academic community through service. 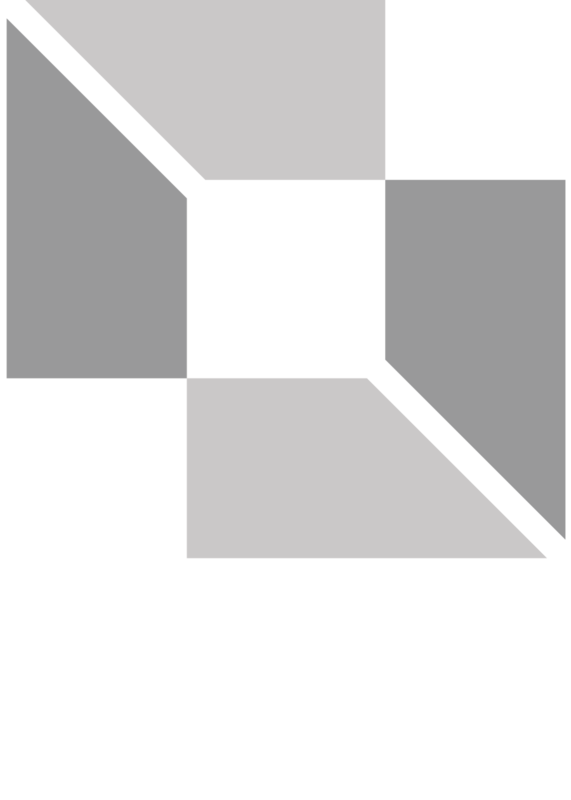 The Beedie School of Business is recognized as a top ranked research school, is accredited by both AACSB and EQUIS, and is a signatory to Principles for Responsible Management Education. We offer programs at the Undergraduate, Masters, Ph.D. and Executive levels, including Canada’s first Executive MBA program and North America’s only EMBA in Indigenous Business Leadership. We are also home to the RADIUS social innovation lab and venture incubator and Simon Fraser University is one of just over 40 Ashoka Changemaker Campuses globally, recognizing our commitment to social responsibility and innovation. SFU Beedie was named following a $22 million gift from alumnus Ryan Beedie and his father Keith in 2011. The donation has allowed the school to build on its strong reputation as a global leader in research, while pursuing its strategic vision of developing innovative and socially responsible business leaders with a global perspective through education. The successful candidate will share Beedie’s commitment to diversity, engagement, and generating positive change in its communities. With three award-winning British Columbia campuses located in Burnaby, Surrey, and downtown Vancouver, Simon Fraser University offers a strong research environment in a dynamic Pacific Rim setting that is ranked by the Economist Intelligence Unit as the world’s most livable city. For further details about the Beedie School of Business, visit our website at http://www.beedie.sfu.ca/. A complete application including a cover letter, curriculum vitae, a statement of research that clearly outlines your alignment with our priorities and your strategy for impact, a statement of teaching interests that includes your approach to engagement, a statement outlining your past and expected contributions to practice, and teaching evaluations from all courses taught in at least the last three years, should be submitted in electronic format to beedie_cmpsus@sfu.ca. Please ask three references to send confidential letters of recommendation directly to beedie_cmpsus@sfu.ca. To help with processing, applications should clearly specify the posting number (2018APSUS) and the position title. For best consideration, complete applications must be received by the initial deadline for applications, September 15, 2018. We anticipate the position will start July 1, 2019 or on a mutually agreed upon date. Please indicate in your submission whether you are attending the Academy of Management conference in Chicago between August 10-14, 2018. To be considered for an interview at the Academy of Management, please submit your application by July 31, 2018. Faculty members will be attending this conference and would like to use this opportunity to meet prospective candidates. The successful candidate will have a passion for conducting high-quality, scholarly research; demonstrated teaching excellence; and leadership abilities. The candidate will have a Ph.D. in Operations Management or a closely related area, with a strong background and training in quantitative methodologies. Research interests consistent with Beedie’s strategic priorities of innovation, social responsibility, and a global perspective will be prioritized. Candidates who seek to engage with local and global communities, and make an impact through their research will be a good fit with the School’s research culture. ABD near completion will be considered. The candidate will be expected to contribute via impactful research and publications in top tier journals; curriculum development and student engagement; and active participation in university’s collaborative academic community through service. The candidate will be expected to teach quantitative courses in areas such as Data and Decisions, Simulation, Decision Analysis, Operations Management, and Supply Chain Management, both at undergraduate and graduate levels. Are you an experienced scholar or industry expert looking to share your knowledge? Connect with excellent students, educators, and researchers in a part-time teaching role. We hire professors, lecturers, entrepreneurs, thought leaders, and subject experts to teach part-time. In order to apply as a visiting lecturer, you must hold a permanent faculty appointment in a recognized university, or an equivalent position in another appropriate organization. When you apply, you will be added to a Visiting Lecturer pool for consideration for future opportunities. We have openings available for Sessional Instructors, including positions available for graduate students, TSSU members, and other interested applicants. Please apply to specific openings as they become available. We hire creative, engaged and dedicated individuals who lead, develop, support and administer Beedie School of Business programs.